Anonymous, 24 Jun 2014it is the worst worst mobile to use.... within 5 months i went to service 2 times. Suddenly to... moreHey I have also the same issue with my cell that I have to go at service center for 3 times first for headphone, then for OS crashed and now touch pad is not working (menu key, back key) its really irritating. And Hight is they have not serviced my cell even after 3 weeks and giving reason that company don't have touch pad available with them!!!!!!! james, 24 Jun 2014Are you kidding, theres no update for magnus and specially kitkat one. Its available for mmx k... morehe is correct i too get this update.it is really 4.4.2 kitkat update.thx micromax for this! 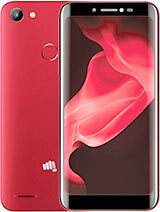 Pls say me Micromax canvas magnus update availible??? How to utilize internal SD ? Currently Internal SD is showing 1.44 GB Free out of 1.61 GB but on the other part, phone storage is 135MB free out of 1008MB . I have moved some apps to External SD. Even then in am getting repeated notification " Low storage " . Can you tell me how to how to utilize the Internal SD ? 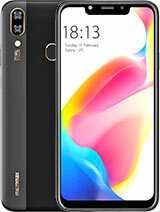 i am happy to buy this smartphone magnus. @swome work. I am facing problem in facebook, I am not able to run any video file, when I select any of the video file, automatically facebook closes. this phone is better in its features,but some it does not work properly . 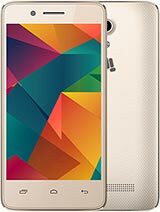 vinod, 17 Jun 2014It is an unfortunate decision of mine to buy a Micromax magnus Canvas.I had purchase it from C... morei bought micro max A117(blue) from snap deal in Feb 2014 i got the phone with in 4 days of ordering but last night i switched off my phone and i was unable to switch on my phone and when i went to micro max service center they told me the display is blank they found some liquid damage display & even they showed me a little green dot of that near the charger point i cant understand that what the hell is that .As the told me that it was defect from liquid but it was never happened that my phone contacted with water. 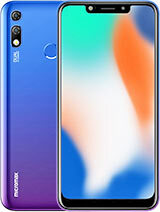 they showed me copper sulphate on charging point it deposits moisture from the air or due to sub standard accessories, if was coated with silver then it never happend so its purely sub standard accessories it was very clear that water never touchs my phpone A117 it is purely upon the micro max who gave me defective hand set or snap deal its being of 4 moths i buy this phone .i can prove that it was not a liquid damage . moreover the behavior of you service center employees was very rude and vulgar . 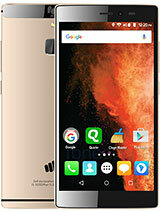 I have a A117 Micromax canvas Magnus smart phone . but in this cell i have a facing a problem regarding camera . When i start to click on camera Application it not start and "Cant connect to the camera" on display of screen . I have request to you to please guide me what to do ? It is an unfortunate decision of mine to buy a Micromax magnus Canvas.I had purchase it from Coimbatore in the month of January & around 15 days back the display conked off.I had to buy a new replacement,since it will take more than 10 days for repair.yesterday ,the same was received 7 once ,I started using the same ,the set became dead.Again,today,I have given the same to their authorised service center at coimbatore.No idea,what is in store for me. this phone is best...i love this phone.....for it..
chick, 18 Dec 2013I am not able to read gujarati massages sent by my friends, please suggest which software I sh... moreGujarati massage in whatsap can not read why?